What happens when you move house and leave your garden office behind? 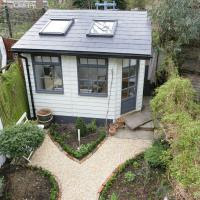 It's time for that tricky second garden office, which is exactly what Klaus and Heidi are planning for in their new home in South London. Pictured above is the one they left behind. Pictured below is the garden office-shaped space that's ripe for, well, a new garden office. We'll be following their plans with interest. I don't think the second one is tricky. By the time we moved I was well clues up on the benefits and pitfalls of different types of building and whilst the final decision took a while, not least considering the issue of cash with a house to gut and re furbish overall the whole process and outcome was a good deal more satisfactory. As an aside we used an firm who advertises on Shedworking. 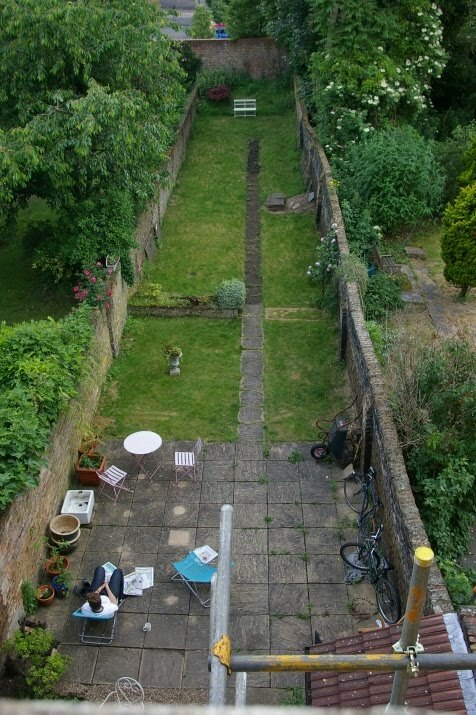 That yard may also be ripe for an archery range. Hello, thanks for taking an interest in our project. KC I agree with you. Having built one we have a much better idea of what we want this time around and hopefully the process will be smoother (and cheaper) too.